Yaxxan has a fresh proposal; urban wear combined with designs, colors and textures that together become a real party for our senses. 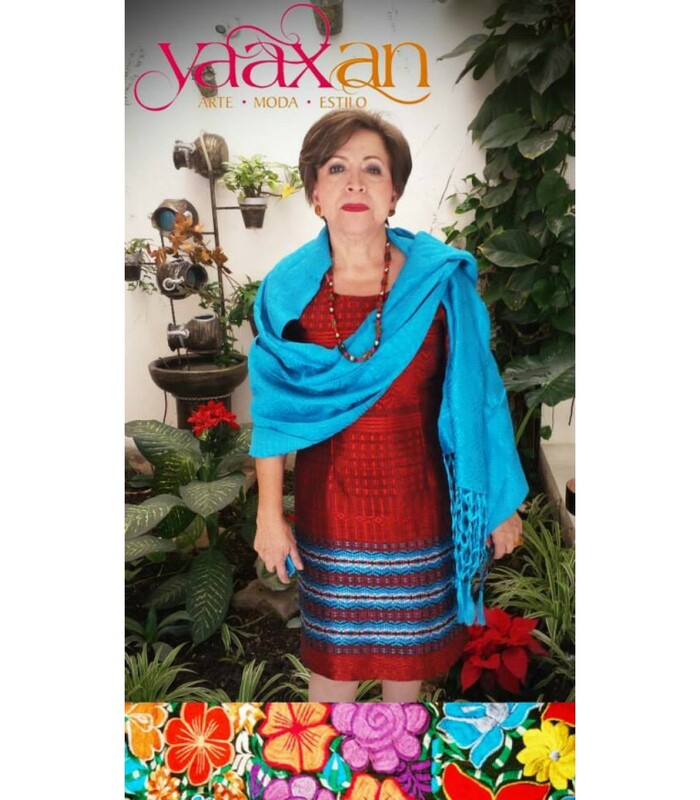 Its mission is to introduce in Mexico and abroad handicrafts made in Chiapas, which have great quality and design, and to create sources of employment through the creation, trade and sale of original and trendy products, using the work, art and talent of many artisans from the Municipality of Comitán, Chiapas. In Yaxxan, they strive to achieve the total satisfaction of their clients by offering original products that meet their expectations and needs. 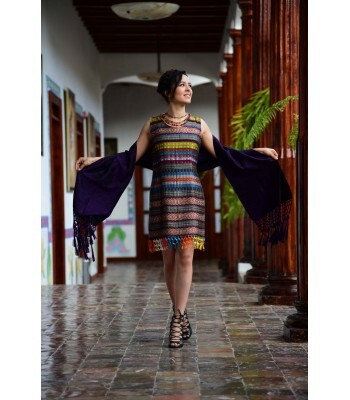 In Chiapas, there is a wide variety of ethnic groups, and each one of them provide a special characteristic to their textiles; some communities use the backstrap loom, which is hooked to a tree or pole from one end while the other end is clung to the weaver. This device is common in Zinacantán and Larrainzar. The foot pedal loom is a device commonly used in Comitán, and it is the characteristic seal in the production of silk rebozos. When we see the Yaaxan collection, we see unique designs, because artisans express different emotions every day, therefore, each one of the embroideries is different. 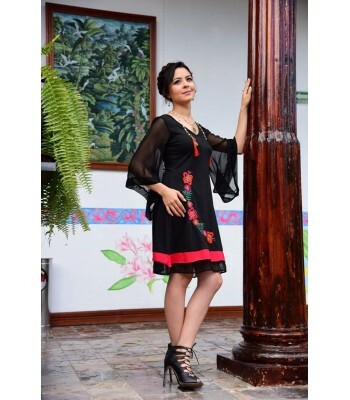 Cotton sleeveless dress in red, with round neck and three stripes on the lower part embroidered in foot pedal loom by artisans from Comitán, Chiapas. Large 50% cotton, 50% polyester. Yaaxan is a company from Comitán, Chiapas founded in 2013 by Angélica María Suarez. The company is dedicated to the production, trade and sale of 100% handmade products such as: amber jewelry, clothes, bags, decorative items, etc. Yaaxan is a Trademark, that also has the Chiapas Brand certificate, which as we all know it is a quality certificate granted after a strict process to some companies from Chiapas. Its proposal: Urban fashion combining designs, colors and textures to create a true party for our senses. Its mission: create sources of employment through the production, trade and sale of original and edgy products integrating the work, art and talent of artisans from the Municipality of Comitán, Chiapas. Furthermore, introduce to Mexico and abroad the art made in our State, pointing out its quality and design. Its main objective is the total client satisfaction through original products that will meet their likes and expectations. There is a diversity of ethnic groups in the State of Chiapas, each one of them provide a special characteristic to their textiles, in some communities it is very common to use a backstrap loom. To use this device, one end is attached to a tree or pole, while the other ends is attached to the weaver. This device is used in places like Zinacantán or Larraizar. The foot pedal loom is another device used in Comitán that has a characteristic seal due to the production of silk rebozos.